The color of a product or a logo can often be just as memorable as its shape, design or quality. When you think of a Coca Cola bottle, do you think of the color red? If you see a chocolate bar draped in purple, do you think of Cadbury? Colors are a great differentiator, and the more striking the color the more you tend to probably remember it. That's why many companies register a particular color as a trademark in relation to their goods or services, protecting that very association from competitors. In a similar vein, could you register a trademark that incorporates a color with your product, for example in conjunction with a shoe? A recent case involving this has been going through the European courts, and the Advocate General has finally given their two cents on the matter ahead of the CJEU's decision. The case of Christian Louboutin SAS v Van Haren Schoenen BV concerns the registration of a mark in Benelux by Louboutin, comprising of a high-heel shoe with a red sole. Only the sole was registered. Van Haren made and sold similar red-soled shoes, and upon identifying this, Louboutin took the company to court for trademark infringement. Van Haren challenged the infringement opposing the mark's registration, claiming invalidity. Having made its way through the Dutch courts, the case ultimately ended up with the CJEU, and prior to their judgment Advocate General Szpunar aimed to give the court guidance on the issue. The question referred to the Court was "[i]s the notion of ‘shape’ within the meaning of Article 3(1)(e)(iii) of Directive 2008/95... limited to the three-dimensional properties of the goods, such as their contours, measurements and volume (expressed three-dimensionally), or does it include other (non three-dimensional) properties of the goods, such as their colour?" In essence, the question asks whether a 'shape', as defined in the Directive, can include colors as well as the actual three-dimensional shape of an object. The Advocate General first considered the classification of the mark and its impact on the registration. He determined that the classification of the contested mark is a factual assessment to be made by the referring court. That consideration does not prevent the CJEU from making remarks which may guide that court in making its assessment. He also saw that the classification of the goods does not necessarily have any legal consequences regarding the goods. Even if the mark is a 'position mark', which some parties argued it was, it doesn’t prevent that mark from consisting of the shape of the goods (i.e. the color). He then concluded that "…it is for the referring court to determine whether the mark at issue in the present case is a per se colour mark or a mark consisting of the shape of the goods, but also seeking protection for a colour". To determine whether the mark is a color mark per say, or consists of the shape of the goods, as defined in the Directive, the Advocate General set out the test as "…the referring court should carry out an overall assessment, taking into account the graphic representation and any descriptions filed at the time of application for registration, as well as other material relevant to identifying the essential characteristics of the contested mark, where applicable". One would also have to account for whether the mark was registered as for the color only, or if the shape was incorporated in the registration as a part of the color. The Advocate General rejected that the color, albeit restricted from applying to a particular shape, would not in itself limit the mark to simply a color mark. Instead "…what must be determined is whether the sign derives its distinctive character from the colour in respect of which protection is sought per se, or from the exact positioning of that colour in relation to other elements of the shape of the goods". Therefore the Advocate General accepts that it is possible for the mark to apply to the position of the color as well. When considering the actual mark that was registered, the Advocate General saw that, even though the contours of the shoe were not a part of the registered mark, its placement on the shoe was very relevant. The mark sought to protect simply a red sole on any high-heeled shoe, irrespective of its shape. He finally thought that "…[t]he contours of the sole appear in any event to be a negligible element of the mark, which derives its distinctive character from the unusual positioning of the coloured element and, potentially, the colour contrast between different parts of the shoe". Although the Advocate General considered that the mark, at least on the outset, would be one that consists of a shape in conjunction with the color, he still aimed to analyse both possible outcomes in more depth. Firstly, whether the mark consists of a color per say. As established in previous cases, colors per say don't have distinctive character; however, they may become distinctive through use. The registration, even so, shouldn't prevent other proprietors from using the color for goods of a similar type. The Advocate General ultimately concluded that "…if the contested mark were to be classified as a ‘mark consisting of a colour per se’, it would be appropriate to hold that it did not fall within the scope of Article 3(1)(e)". Secondly, whether the mark consisting of the shape of the goods and of a certain colour. The Advocate General set out that, to answer whether a mark consists of both the shape and the color applied to it, one has to heed the logic and scheme of Article 3(1)(e), i.e. to prevent the registration of marks that would impede fair competition. The Advocate general considered that any shape that incorporates color in the mark would have to be analysed under Article 3(1)(e) as a part of the overall assessment of the sign. This would apply even under the new Directive. He concluded that "… Article 3(1)(e) of [the] Directive… does potentially apply to signs consisting of the shape of the goods which seek protection for a certain colour". The mark in question would also be, in his view, potentially caught by the Article and therefore invalid. He also observed that, while the color potentially does add value to the mark (and potentially falls under Article 3(1)(e)(iii)), the value added only relates to the intrinsic value of the shape (for example, is it commonly used and therefore valuable) and not the reputation of the proprietor or the mark. The Advocate General clearly sets the stage for the CJEU to find that color marks applied to a particular shape would be invalid, as the protection of a color to an indeterminate amount of soles could prevent fair competition. Less conventional trademarks could be hindered by a negative decision by the CJEU, and it remains to be seen how they navigate this paradigm in the light of the expansion of registrations through the new Directive 2015/2436. 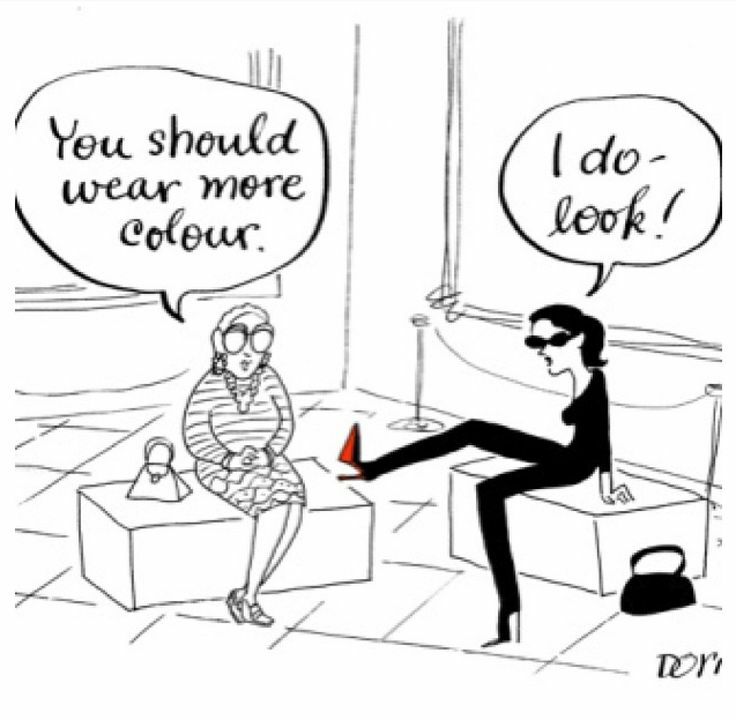 Should the shape be taken into account the mark could survive, but it looks like Louboutin might have to simply rely on their goodwill in passing off in the future.